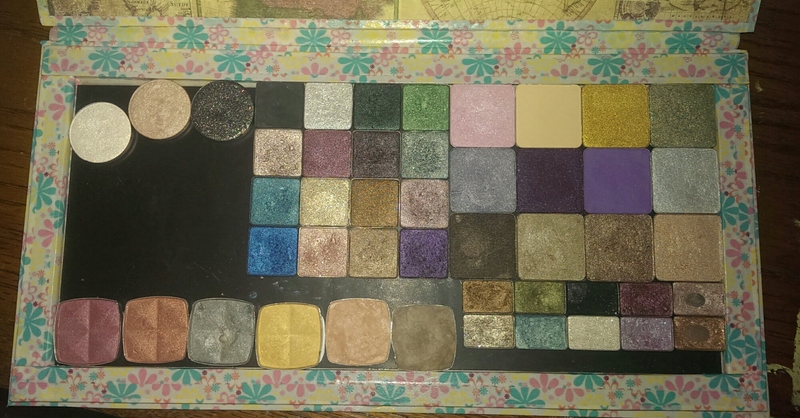 I decided I really needed a Z-palette but I can’t afford one, so I made one! Kinda, mine doesn’t have a ‘window’ to let me see what colors are inside without opening it. 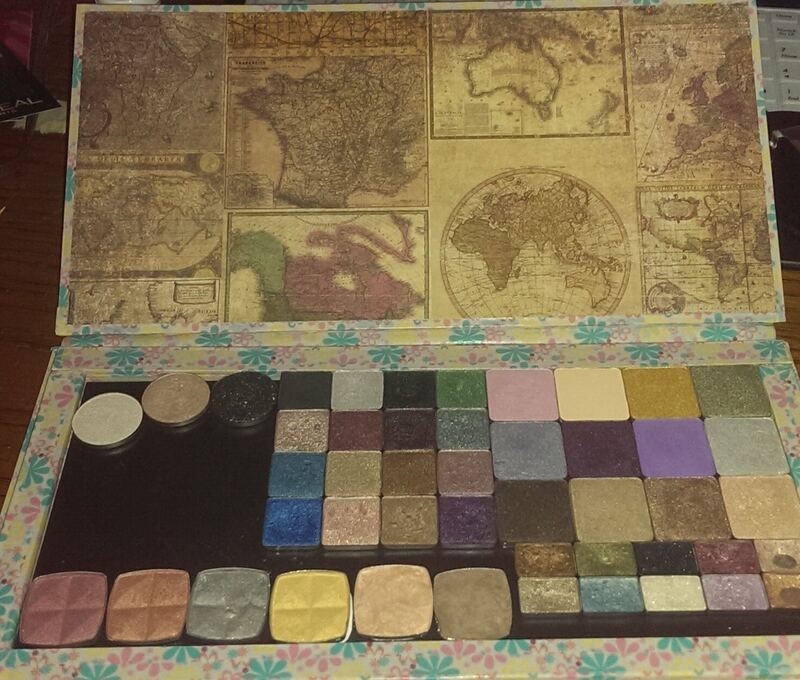 I spent about $10.00 for supplies I didn’t already have, basically magnetic sheets and Chipboard (which is used in scrapbooking). I already have plenty of glue and pretty papers (I get 90% of my papers at a place called Scrap That ) and tape. Without consulting the internet I went to town and made this. And open with my shadows inside. And a slightly closer look. I’d say it turned out okay.